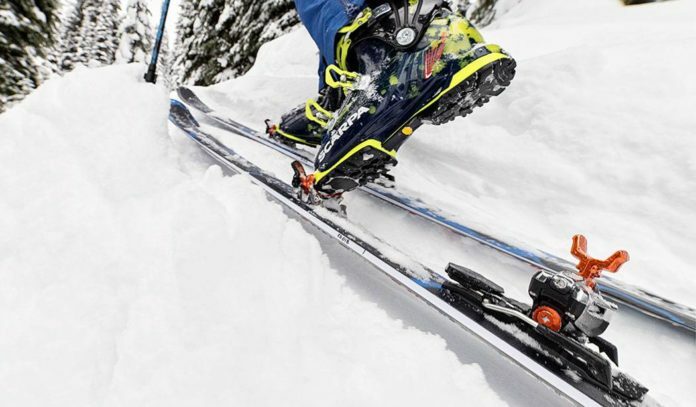 Ski-touring bindings differ in many ways from their downhill cousins. One key difference is the ability to release the heel for uphill skiing. Their setup also differs. 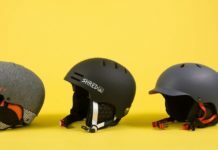 These are probably the most obviously different item of kit to their downhill cousins, though at first glance they can also appear deceptively similar. However, they have an additional ability to release the heel and a number of uphill riser settings for different gradients of uphill slope. 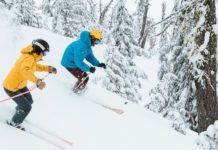 This article covers important information that the novice ski-tourer should know before renting or buying their first set of ski-touring bindings. Normally the bindings aren’t something given much notice by a hirer. 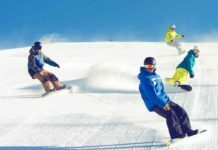 Either they work, or they don’t – in which case, (as they are attached to the ski, and removal from the ski takes too much precious time for the hire shop to do at point of rental), the ski tends to get changed at the same time. However, a hirer should ensure that the hire shop provides skis with ski-touring bindings (ie with heel releases) and that they set the bindings up correctly for ski-touring. Having a thicker front toe, means that the front of the bindings will need to be altered from a downhill-boot setting to give the boot sufficient room at the front. A guide to the correct setting is that there should be a paper-thin gap (a laminated bit of shop sales literature is often a useful guide) between the boot and the binding under the ball of the foot. Touring bindings, like downhill bindings, have two places where the binding tightness (the Din setting) has to be set. 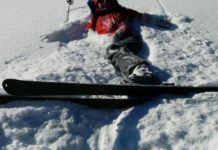 As usual, hirers should ensure that the shop asks about height, weight and experience for setting this – it should be similar or slightly higher than the skier’s normal downhill setting. 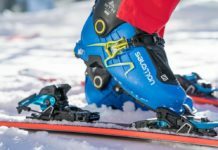 Compatible Ski-touring Boots and Bindings? The rear of the binding also needs to be checked with both boots (not just one as is common practice). Some ski-touring boots are not compatible with some ski-touring bindings (often where it is a newer boot being matched with an older binding), and this can result in the heel of the boot not being properly captive in the binding, Beware that this incompatibility may only show up on one boot out of the pair! The result of this is that the boot doesn’t seat properly in the binding, and releases unexpectedly in normal use. 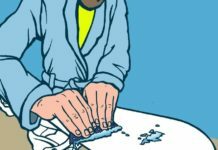 Keen To Buy Ski-touring Bindings? When the novice progresses to the stage of wanting to buy bindings, then the choice becomes a little more complicated. 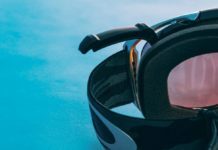 There are several different variations of ski-touring bindings, but basically the choice is between two factors – weight and strength. In general terms the more downhill or on-piste use the skier expects to have, the sturdier the bindings should be, at the cost of extra weight. If the ski-tourer expects to only have light use, or not to have too much heavy downhill use, then lighter but less strong bindings may be a good alternative. Like the rest of ski-touring equipment, ski-touring bindings differ from their downhill cousins in several ways, and set-up needs to be changed accordingly. 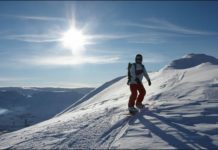 This article has more information on ski-touring boots and skis/ski-accessories and this article has information on the essential avalanche gear that should be carried by ski-tourers.